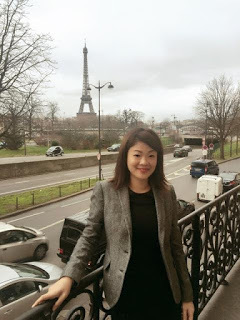 Before joining the program I was the Regional Marketing Manager taking care of South-East Asia for Baume-et-Mercier (Maison under Richemont). I was handling trade marketing, advertising, PR & Communications and brand management strategy for the subsidiary based in Singapore. I have 10 years of experience as a luxury marketer for different watch brands and menswear labels. I am passionate about luxury and wanted to gain more in-depth knowledge of the luxury industry as well as the different sectors within it. This MBA was an obvious choice due to the excellent reputation of the school and program and its strong ties with industry leaders like LVMH and L’Oreal. The diversity of nationalities was also a draw for me as I will be able to exchange and gain valuable insights of other markets. Lastly, where else better to be than at the heart of luxury? The program has given me insights into the french luxury business model and a taste of the different verticals within the industry, on top of the different networking opportunities with the industry’s top companies. I look forward to learning more about the different verticals and more exchanges with my colleagues from different cultures and backgrounds. And at this moment, the opportunities to learn about luxury in Asia and the Middle East in our upcoming field trips! Having had experiences in Asia, I hope for an international exposure in positions outside of South-East Asia. But more importantly, in a role whereby I am able to integrate my past experience with the knowledge that I have acquired from this MBA for the next phase of my career. The only piece of advice I have is that he/she needs to have a true passion for luxury. Passion will be the fuel to go on in this intensive 1-year program specific to luxury.